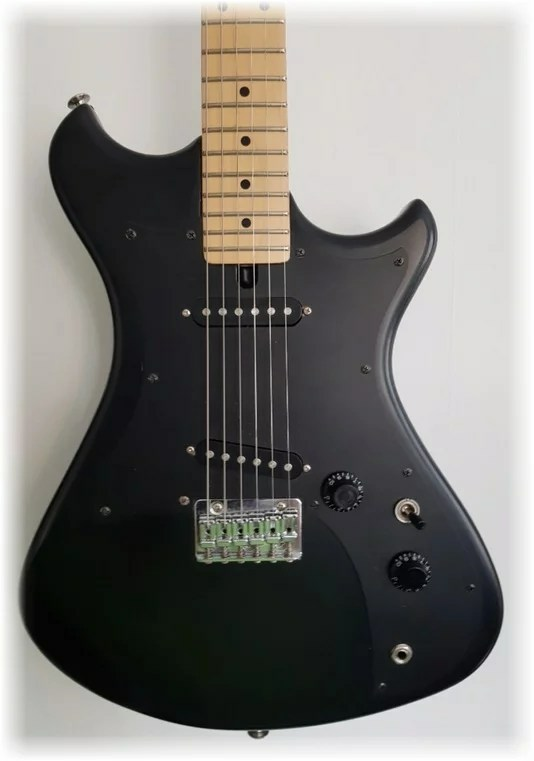 According to the Guru’s Guitar Guide, this model was introduced in 1982, however this may be because there was no US distributor for Westone guitars until 1982, this version may have been available in 1981* in the UK. The features on this version match the early 82 Concord I bass, and it’s not shown in either the 1982/3 or 1983 catalogues. We presume this was the earliest 6 string version. This version has the same large headstock and body shape as the Paduak. The headstock colour matches the body colour and the scratch plate follows the contours of the body. There are 12 screws on the scratch plate. The guitar shown below is a 1982 model. The one pictured on the left is a later 1982 model (Serial number begins with 210). There are 12 screws on the scratchplate and the headstock colour does not match the body colour. This is the version shown in the 1983 catalogue. The logo on the headstock is the W ‘bird’ style. All earlier versions had a script logo. 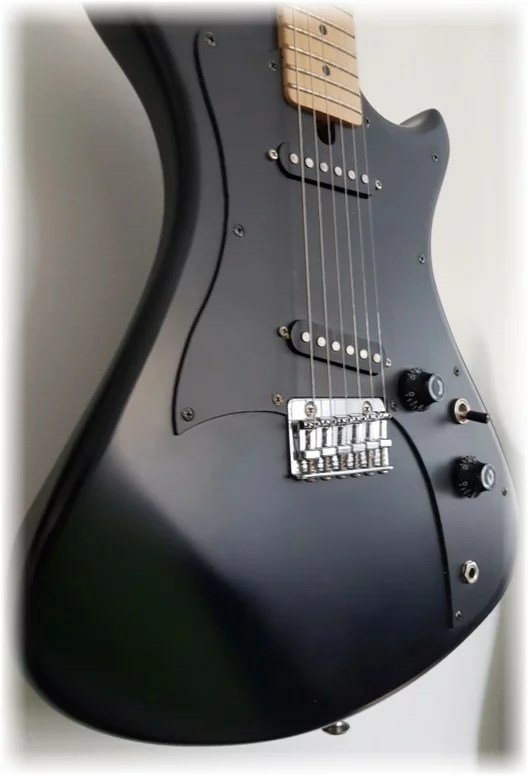 The black guitar pictured above and the one shown below are both 1984 models. The body shape is now rounder (Same as the Thunder series), the headstock is smaller and has a natural finish regardless of the body colour. There are 10 screws on the scratchplate. As far as we know these guitars were not produced after 1984—they were replaced by the Spectrum models.